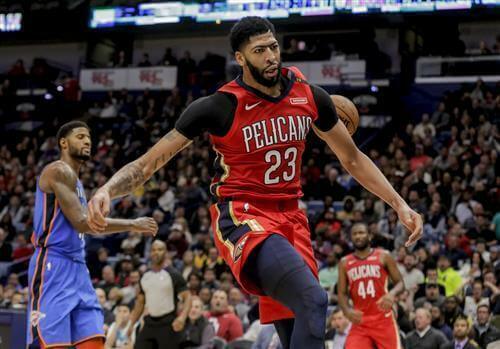 #AnthonyDavis | Bring Your "A" Game Sports Talk! Sadly for some NBA stars the franchise they play for don’t seem to learn from the mistakes of the past. When Kevin Garnett was with the Minnesota Timberwolves they failed over and over again to get him good enough pieces for them to seriously contend for a title. They wasted his prime so that he left for Boston when the opportunity arose. The same happened with LeBron James and the Cleveland Cavaliers, twice. The Cavs thought that just having James was enough, so LeBron left for Miami in 2010. Then when LeBron returned and won Cleveland the title in 2016 the Cavs failed again to keep the roster good enough and the LeBron left for Los Angeles in 2018. The same thing looks to be happening in New Orleans with Anthony Davis. Despite Davis averaging 28 points and 12.4 rebounds with 2.8 blocks the Pelicans are 15-16 and don’t appear like they can improve. New Orleans is a very small market and they keep losing their good players like DeMarcus Cousins and Rajon Rondo. Davis is just about to enter his prime and he simply too good not to be reaching the Playoffs every season.